Honorary Consulate General of Switzerland in Suva, Fiji located at Lot 20, Guava Place, Laucala Beach Estate. View address, telephone numbers, fax, email and hours of operation below. 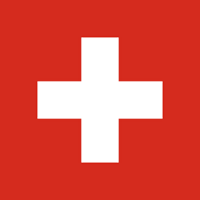 Please call Honorary Consulate General of Switzerland in Suva, Fiji at +679 33 90 666, Mobile: +679 999 56 37 to find out current hours of operation and other details. This page was last edited on 13 September 2018, at 06:59 AM (EST).